Standard Shipping arrives within 2 – 6 business days. If you need a specific day delivery please select a delivery upgrade. 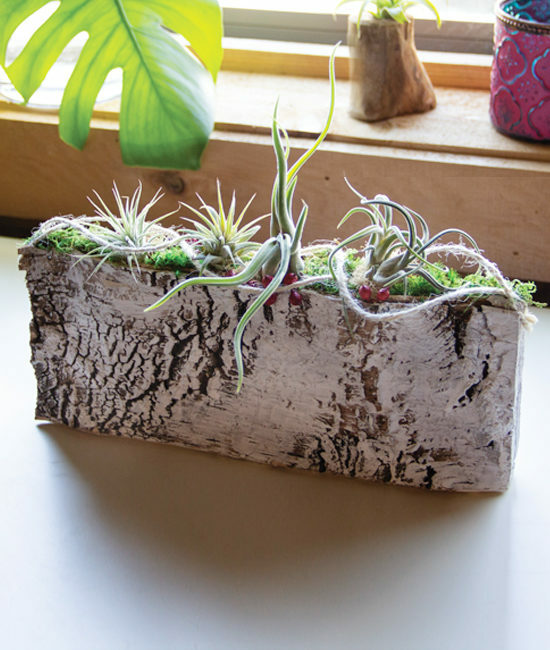 Air Plants have become incredibly popular because they’re fascinating to look at and so easy to care for. This centerpiece is a far cry from ordinary. It makes a wonderfully unexpected and welcomed surprise for the Holidays, a birthday, or even get well soon. 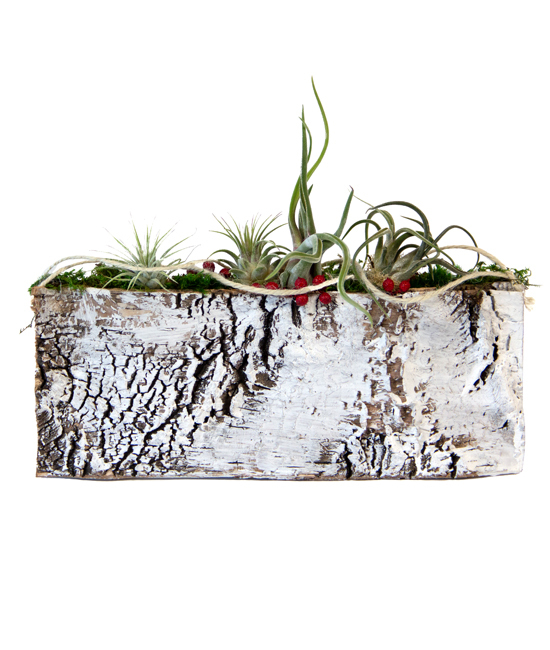 Three tillandsia air plants tucked inside our slim birch cachepot with Holiday touches of faux red berries and festive cording. Sure to please anyone.